Caption slip reads: "Photographer: Mitchell. Date: 1959-11-16. Reporter: Lewis. Assignment: Justice Ford. 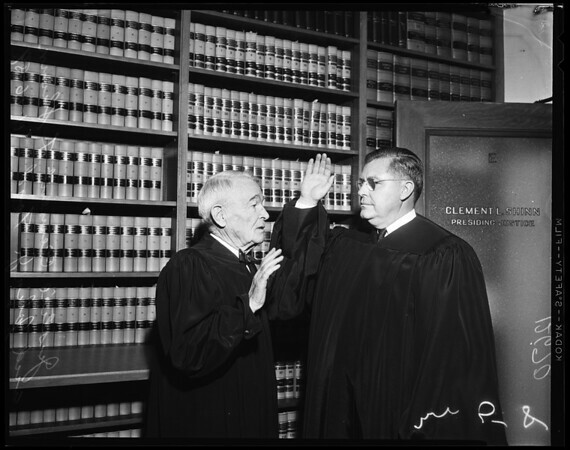 57/58: L to R. Presiding Justice Clement L. Shinn of Div. 3 of the district court of Appeals swearing in New Associate Justice John J. Ford".